Oral health can have an impact on your health as a whole. Sadly, few people are aware of this fact, which may be the reason why some people have little regard for oral hygiene and oral health in general. 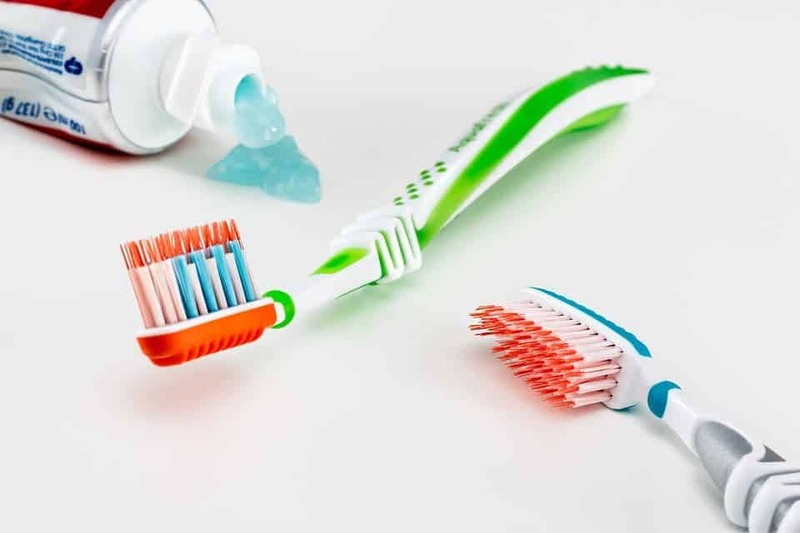 This is partly the reason why a study by the American Dental Association showed that many people did not even know how often they should change their toothbrushes, or how to prevent the occurrence of common oral health conditions like dental caries. In general, oral hygiene is centered around the prevention of accumulation of plaque, tartar and the prevention of health conditions such as dental caries and periodontal disease. With proper oral hygiene, you can also avoid halitosis, or issues like discomfort when wearing dentures. There are even studies linking poor oral health with some types of oral cancer. The need for good dental health is very dire. 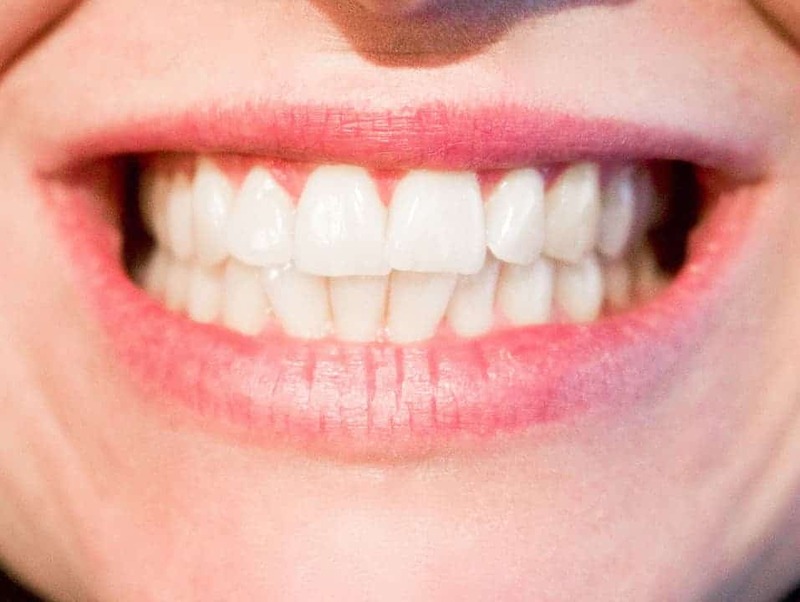 A CDC study has shown that about half of all people over the age of 30 already have some level of periodontal disease. Coincidentally, routine oral health is something more than 50% of all people do not bother to get on a regular basis. But these people are not without options since there are a number of dental care products they can use to improve their dental health and even avoid getting some of these dental health problems. Some of these products help with the prevention of plaque, gingivitis, tartar, and even tooth sensitivity. Others will even fix cosmetic issues by whitening the teeth. Topical fluorides, flosses, cosmetic and therapeutic rinses can also be used to improve oral health and ensure good overall health. Manual and electric toothbrushes, oral irrigating devices, and dental flosses are also effective at removing plaque and tartar. Fortunately, pharmacists can provide a lot of valuable advice on the importance of proper oral hygiene and elaborate on the benefits of taking preventive measures against common oral health problems to their customers. Many products intended to aid in oral hygiene are nonprescription, which means that pharmacists can safely sell them to patients. Additionally, given their unique positions, these medical professionals can also determine the best pharmacological interventions for people in need of these products as they deal with dental problems. In fact, in consideration of the fact that kids also need proper oral health, there are products that have been specially designed to help them learn to brush their teeth. Periodontal disease can get quite serious. In its mildest form, it takes the form of gingivitis. In this state, the disease is even reversible. When the health issue becomes more severe, it turns into periodontal disease, and this typically happens when gingivitis goes untreated. At this stage, the disease can get so serious that its effects cannot be reversed. The severe periodontal disease causes serious and permanent damage to soft tissue and the bone structure supporting the teeth. Given the gravity of the effects it has in the mouth, it is often the main reason many people lose their teeth when they are over the age of 45 years. The worst part is that periodontal disease brings with it other serious health issues. Several studies have proven that periodontal disease can increase the incidence of issues such as stroke, diabetes, cardiovascular disease, respiratory issues, and even low preterm weight in babies. There are some factors that have been shown to increase the risk of suffering from periodontal disease. These include hormonal changes during certain stages in life such as puberty and pregnancy. Some medical conditions such as diabetes can also bring about the problem. There are also links between periodontal disease and the use of agents such as calcium channel blockers, phenytoin, phenytoin and cyclosporine. It has also been proved that those who take anticholinergics and antidepressants are more likely to have issues related to periodontal disease. These compounds are known to increase the flow of saliva, which in turn increases the odds of suffering from this serious disease. Also, there have been links between periodontal disease and genetics. This means that people with a family history of the periodontal disease are more likely to suffer from it in comparison to those who do not have a family history of this disease. Oral hygiene can go a long way in helping prevent periodontal disease. For instance, brushing your teeth twice a day, flossing every day, and having a rigorous daily oral care routine can reduce and even eliminate the chances of experiencing periodontal disease. Dental caries is a fairly common oral health issue in the world today. The CDC estimates indicate that about 20% of all children has this disease and that it goes untreated. As with many other oral health issues, poor oral hygiene is a leading cause of dental caries. The problem can also be brought about by plaque. Other reasons people may suffer from this disease include gum tissue recession leading to exposure of root surfaces, use of orthodontic appliances, and even xerostomia. Some studies have even shown that the use of tobacco can result in the development of dental caries. telling them what sort of treatments to use when the problem does occur. Brushing and flossing your teeth removes plaque, which is the main reason people suffer from dental caries. Keeping your mouth clean through brushing and flossing promotes a healthier gingivitis tissue by getting rid of plaque, which is a major cause of dental caries. There are also several rinses that can greatly reduce the chances of suffering from dental caries as they can help remove plaque and tartar which might lead to this problem in the first place. flossing with a water jet is also quite effective at helping get rid of the plaque and tartar. Poor oral hygiene is the leading cause of halitosis or bad breath. This is one of the most embarrassing oral health problems there is as it is instantly recognizable by those around. In fact, over 85% of all halitosis, cases are directly related to poor oral hygiene. There are other factors that might bring about this problem as well. These include smoking and tobacco use, eating certain types of food, consumption of alcohol and even xerostomia (dry mouth). Generally, when food particles get stuck between the teeth due to lack of regular brushing, this problem can occur. Avoiding certain foods can also help avoid this problem. Such food choices include junk food. Using mouthwash or brushing and flossing after eating can help prevent halitosis as it can get rid of the food particles that usually result in halitosis. These interventions ensure the removal of plaque from the mouth. However, if the problem continues regardless of these interventions, then it might be time to see a dentist to establish if a more serious underlying cause might be the problem. Sometimes, there is often no easily noticeable cause for the problem, which is why seeing a dentist for further advice is often necessary for these patients. Canker sores take the form of small sores inside the mouth that tend to recur once they have begun. They appear white or gray with a red border, and they tend to last for a week or two. However, this often happens in the absence of proper oral hygiene. When suffering from canker sores, there are ways you can lessen the discomfort until they go away. This includes staying away from spicy or acidic foods. Additionally, while oral hygiene routines might seem like torture when you are suffering from canker sores, you should ensure that you do not avoid proper oral hygiene as that can make the problem even worse. However, you should be extra gentle when washing your mouth and teeth to prevent further damage and discomfort. There are also some over the counter nonprescription medications you can use to manage the pain. Nevertheless, if the canker sore problem does not seem to subside over time, it might be worth seeing a dental health professional to help you manage it effectively by first investigating its primary underlying cause. Canker sores can be solved and avoided through proper oral hygiene and the use of effective oral health products such as mouthwash and other topical agents. Good oral hygiene can greatly reduce the incidence of canker sores. For instance, brushing and flossing after a meal with can free the mouth of food particles that would lead to canker sores. Even when giving oral hygiene all the importance it deserves, it is important to follow correct procedure to avoid bringing about more oral health problems in the process. For instance, using a gentle toothbrush is important, as a brush with hard bristles can often lead to gum damage. In fact, the gums can start receding when brushed extensively with a tough toothbrush. Often this will result in temporary gum health issues like swelling, blood and reddening. Good oral hygiene can go a long way in helping patients avoid many dental diseases. Literally, all of these diseases can be prevented by having a good oral hygiene routine. However, when a disease such as periodontal disease or halitosis happens, it is advisable to visit a dentist for professional advice and treatment. However, pharmacists are also in a position to advise their patients on how best to use over the counter nonprescription medications to treat some of these dental health conditions. This counsel should touch on the effectiveness of various medications in treating the oral health condition at hand and even take into account the side effects that the patients might experience after using these pharmacological products since they can result in bleeding, inflammation of the gums, bleeding, and other issues such as xerostomia. More importantly, all these professionals should emphasize the importance of proper oral health, as no interventions can take the place of having a proper dental health routine. Through proper oral health, many of these problems can be avoided and even reversed. However, there are cases where the damage might be too extensive and only dental professionals can help resolve them through other interventions. In general, proper use of effective oral hygiene, products is necessary, even at a young age. Children should be educated on the importance of effective regular brushing and flossing, as well as the need to have regular dental checkups for optimal oral health. Fortunately, there are plenty of resources that teach the benefits of proper oral health; and these can help people know how to avoid oral health problems that many people face on a regular basis simply for lack of adequate information on how to take proper care of their oral health. Basically, brushing twice a day, flossing once a day, and using mouthwash and other oral hygiene interventions can ensure optimal oral and general health. Not only will these measures prevent serious oral health problems such as periodontal disease, but also keep you from suffering from general related health issues such as oral cancer, diabetes, and cardiovascular problems.